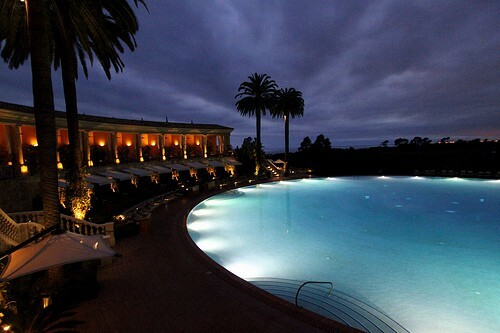 Treat yourself to an indulgent resort in Southern California! Travel to the stunning villas and resorts located between San Diego and Los Angeles for a special getaway that will melt away stress and tension. 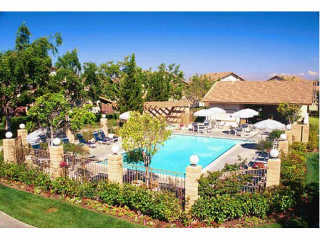 For a weekend that you surely won’t forget, take a trip to one of Southern California’s top exotic resorts. We know you won’t regret it! The Resort at Pelican Hill in Newport Beach is a place like no other. If you’re looking to be catered to, this is certainly the resort for you! Whether you’re a golfer, foodie, or enjoy the spa, this resort has it all. You’ll find two oceanview golf courses, barbershop, spa, and the best Italian restaurant outside of Italy, Tuscan Andrea. The Resort at Pelican Hill will provide you with excellent service and outrageous accommodations featuring travertine flooring, wood-beam ceilings, limestone fireplaces, and a huge swimming pool inspired by the Coliseum. In addition to delightful rooms, you’ll also have complimentary transportation in the form of Cadillac Escalades and Mercedes coaches if you choose to explore Newport Beach while you’re here. For a wonderful weekend vacation, The Resort at Pelican Hill is just a short trip away! This resort will take your breath away in an instant. Montage of Laguna Beach is notorious for its picturesque pool and oceanfront views. The resort is situated on the top of a bluff facing the Pacific Ocean. Each suite will have its very own patio, dark wood furnishings, lovely color schemes, and authentic artworks. What could be better than sipping on a cocktail while enjoying this stunning pool? The answer isâ€¦ nothing! Right in between San Diego and Los Angeles, the gorgeous Ritz Carlton of Laguna Niguel will feel more like a getaway to the Mediterranean! The hotel has four stories, with fountains and French doors that open up to private terraces. The swanky Ritz Carlton ambiance has an inspirational tropical feel located on a seaside bluff, it’s an unbelievable experience for a weekend vacation that will feel like your worlds apart from your everyday life. Two incredible, first-class restaurants are also located on the premises. Just 25 miles north of downtown San Diego, you’ll find this beautiful villa amidst the polo fields and horse ranches of San Dieguito Valley in Rancho Sante Fe. Rancho Valencia has stunning Zorro-hacienda designs, which cost about $30 million for renovations! The underlying theme is an elegant Spanish villa with many posh amenities including patios shaded by palm trees and covered with bougainvillea, huge bathrooms, a luxurious spa, a pro-level tennis complex, a gourmet restaurant, and a tequila bar! Pamper yourself and indulge in the marvelous villa just outside San Diego, Rancho Valencia!